To Dance or Not to Dance...That is the Question! Happy Wedding Wednesday! During the wedding planning process, you and your fiance' will have hundreds of decisions to make. One question that should always be answered YES is, "Should we take dance lessons for the wedding?" 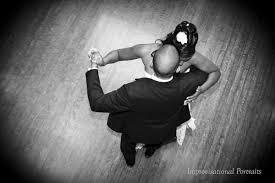 As a former dance instructor, I always loved when I got to prepare an engaged couple for their first dance. Every couple I have ever taught will attest to the benefit of dance lessons. It was a time for the couple to come together, have fun and release the stress of the work day and wedding planning! Now, whether you want to learn a basic box step or create an elaborate, choreographed multi song dance, it is beneficial to take at least a few dance lessons together. I'm looking forward to seeing all of your wedding dances, HAPPY DANCING!! A Wedding fit for a Princess.... a Disney Princess! I don't know about you, but I LOVE a good love story and there is no better love story than a Disney love story! For the next few posts, I'm taking a spin at modern weddings inspired by some of Disney's iconic love stories..... today, let's look at Cinderella. When it comes to location and decor, a majestic ballroom, designed with a color theme of silver, blue and ivory are what I see for the ceremony and reception. I love king's tables for a wedding reception, especially one that is royally themed! Next week, I'm looking at a modern wedding inspired by Ariel, The Little Mermaid! In continuing my series from the How Do I Look Wedding Ideas, today we'll take a look at some top First Dance Songs for the Classic Couple. I've chosen my Top Ten favorites (in no particular order) from a list of 50 songs I found on The Knot, so check them out for additional options! Happy Wedding Wednesday! For the last of my Color My Wedding series, today I'm looking at the color PURPLE! Purple often represents royalty, wealth, magic and mystery. With a range from lavender to eggplant, it is an great color to use any time to use anytime of the year! I hope you found a little inspiration for your own wedding through this series! Contact Events with Ambiance today, and let us help you create the Wedding Day of your dreams! !